Your theory test can be booked and taken once you receive your provisional driving licence and are 17 years of age. Telephone the DVSA on 0300 200 1122, Welsh language 0300 200 1133 or textphone 0300 200 1166. You can use the telephone service from Monday to Friday 8am to 4pm. If you did not receive a theory test confirmation e-mail or have forgotten the time and date of your theory test, you can check online when your date is. You can also use this to change or cancel your theory test. If you intend to cancel a theory test, allow at least 3 working days’ notice to inform the DVSA. Cancellations made within 3 working days (including Saturdays) will not be refunded. The same policy applies to changing a theory test date. A change of date is not possible unless 3 working days’ notice is provided. Check or change or cancel theory test booking. You will need your provisional driving licence number at hand to make any changes. 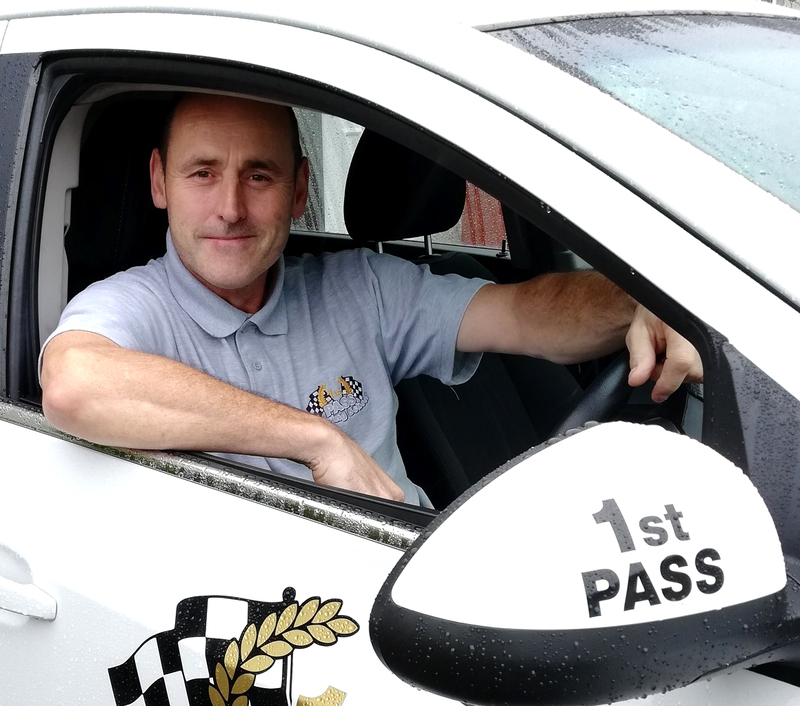 If you are struggling to study or pass the theory test, let your driving instructor know as learning to drive in itself combined with theory related questions and answers from your instructor will help. Theory Test Pro: practise your driving theory test online! How long do i need to wait if i fail the Theory Test? If you were unsuccessful in passing your theory test, you will need to wait 3 working days before you become eligible to re book the theory test. The test will last about 38 to 40 minutes and will include 20 minutes of independent driving. You will need to demonstrate that you know The Highway Code and can drive safely in different road and traffic conditions. You will be asked to complete one reversing manoeuvre and you may have to carry out the Emergency Stop. The examiner will ask you if you would like your instructor to sit in on test. If you are taking an extended test because you’ve been banned for driving, the test will last about 70 minutes. At the start of the Practical Driving Test, your examiner will ask you to read the number plate on a parked vehicle. You must satisfy the examiner that in good daylight you can read a vehicle number plate at a minimum distance of 20 metres (or 20.5m for old style plates). New-style number plates start with 2 letters followed by 2 numbers, such as AB51 ABC. If you need glasses or contact lenses to read the number plate, that’s fine, however you must wear them whenever you drive. If you fail the eyesight check, your test will not continue and you will fail your Practical Driving Test. Vehicle Safety Checks are very important, to make sure that your car is in good working order before you start the engine. You need to be aware of what you need to check, how to check it and how often to do it. Advice and information can be found in the car manufacturer’s handbook. Tell me question (where you explain how you’d carry out a safety task) at the start of the test, before you start driving. Advice and information on how to carry out Vehicle Safety Checks will be given in your lessons, so that you will be confident and able to answer all the questions. Normal stops at the side of the road. Pulling out from behind a parked vehicle. Pull up on the right-hand side of the road, reverse back for about 2 car lengths, keeping reasonably close to the kerb and then re-join traffic. The examiner will tell you which you have to follow. They will set the sat-nav up for you. You can’t use your own sat nav. The Independent driving is designed to assess your ability to drive safely while making decisions independently. If you can’t see a traffic sign (for example, because it’s covered by trees), the examiner will give you directions until you can see the next one. You’ll be able to ask the examiner for confirmation of where you are going if you’re not sure. It won’t matter if you go the wrong way, unless you make a fault while doing it. If you make mistakes during your test, you can carry on; it might not affect your test result if it’s not serious. The examiner will only stop your test if they think your driving is a danger to other road users. You’ll Pass your driving test if you make no more than 15 Driving faults and no Serious or Dangerous faults. If you Pass your test the examiner will tell you what faults you made, if any and give you a Pass Certificate. You will be asked if you want your full licence to be sent to you automatically. If you don’t pass, the examiner will ask if you would like your instructor to hear the debrief and tell you what faults you made. You can book another test straight away, but it has to be at least 10 working days away. Those who pass their driving test have had, on average, about 45 hours of professional training combined with 22 hours of private practice. You will need to gain experience on different types of roads and driving conditions. The more you practice and increase your experience, the more confident you will become. You cannot apply for the practical driving test until you have passed the theory test.